More than 7,300 stillbirths occur each day, half of which happen during labor and birth. Stillbirths have been overlooked as a global public health crisis, in spite of the fact that often highly-preventable solutions overlap with maternal and newborn health interventions. Social taboos and stigma remain a challenge and are culturally variant. 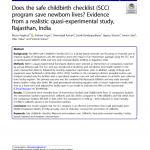 The stillbirth rate is a sensitive indicator of quality of care in pregnancy and at birth. 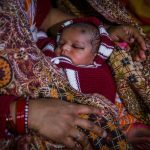 An estimated 2.6 million stillbirths occur annually, 98 percent of which occur in low- and middle-income countries and 75 percent of which occur in sub-Saharan Africa and south Asia. Half of all stillbirths occur during labor and birth. 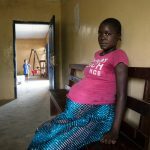 The most common causes of stillbirth are similar to those that also kill mothers and newborns, such as maternal infections (notably syphilis and malaria), non-communicable diseases, and obstetric complications. Only 7 percent are due to congenital disorders, but some of these are also preventable. 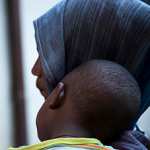 The burden of stillbirth affects women, families, caregivers, communities, and society. Parents experience various psychological symptoms that often persist long after the death of their baby but could be mitigated by respectful maternity services, including bereavement care. An estimated 4·2 million women are living with depression associated with a previous stillbirth. Stigma and taboo further exacerbate trauma for families, and fatalism impedes stillbirth prevention. 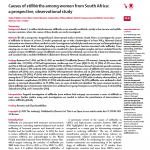 Stillbirths are preventable through high-quality antenatal and intrapartum care within the continuum of care for women and children. Such inputs result in a quadruple return on investment by preventing maternal and newborn deaths and stillbirths, plus improving child development. The stillbirth rate is a sensitive marker of quality and equity of health care. Opportunities to integrate stillbirths within women’s and children’s health programs must be seized more systematically. 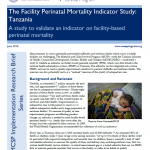 Some initiatives, such as the multi-stakeholder Every Newborn Action Plan, within the Every Woman Every Child umbrella, have included stillbirths. Data for tracking stillbirths has increased. However, mentions of stillbirth remain limited in most relevant policies, research, and funding; these are missed opportunities to integrate and act to ensure progress.